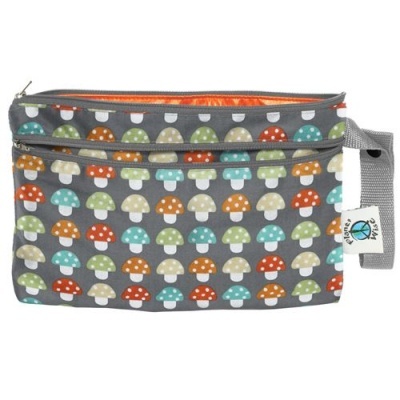 The Planet Wise Wet/Dry Clutch is perfect to carry a single nappy change or extra clothes for baby or for cosmetics or toiletries. Great for travel! 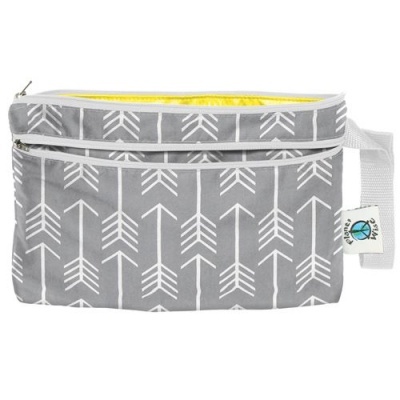 Planet Wise has added the Wet/Dry Clutch that is perfect to use when you are on the go with baby or even out on the town. 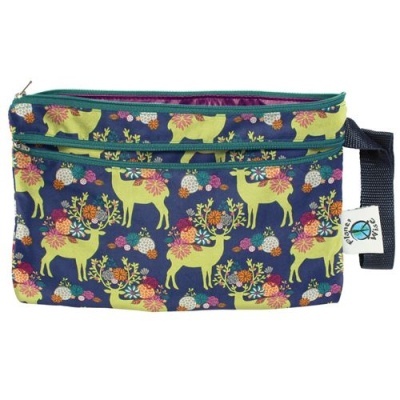 Use this fashionable Clutch to carry a single nappy change or extra clothes for baby or for cosmetics or toiletries. 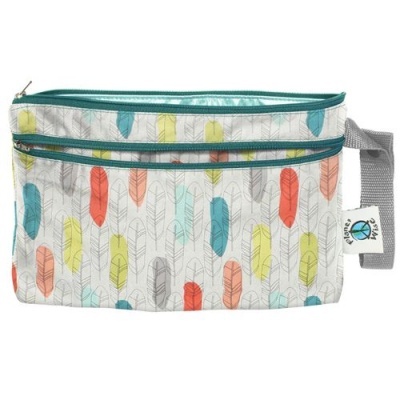 It is the perfect size to throw in your luggage when traveling or send with you kids for sleepovers. 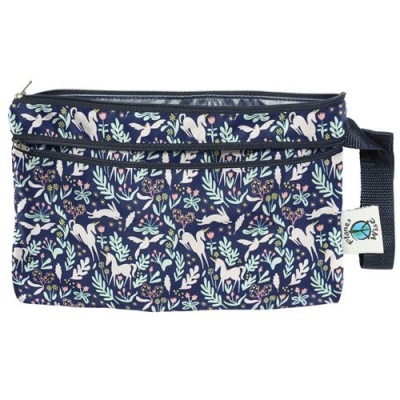 Put your wallet and a few other essentials in the Clutch and you have a purse! 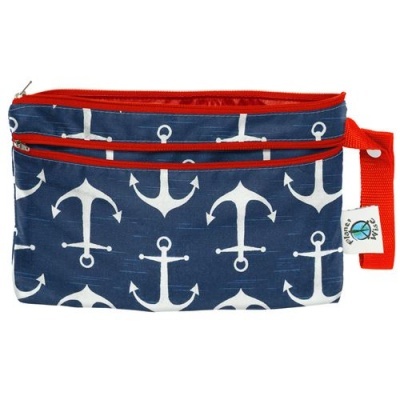 Use it to carry snacks, a notepad and marker or other small toys to keep your kids busy anywhere. The Planet Wise Wet/Dry Clutch has a zippered "dry" section to separate your cosmetic brushes, pencils, etc. from your lotions, powders and liquids. 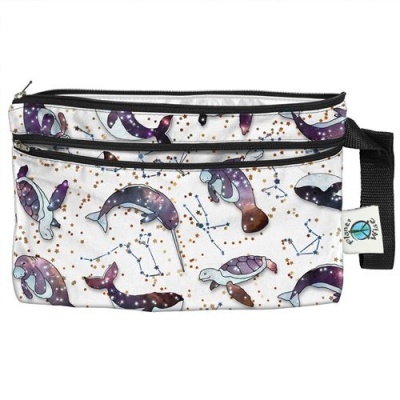 The zippered "wet" section has the same great waterproof, no-leak design as other Planet Wise Bags, so you can trust that all that you need to stay inside the bag will! Planet Wise Clutches are made with high quality designer fabrics and coordinating waterproof inner material made of polyurethane laminate (PUL) that is anti-microbial and inhibits the growth of bacteria and fungi. The seams are hidden and sealed for no wicking or leaking. These exceptional bags also have water resistant, locking zippers that are PVC-free and lead-free. 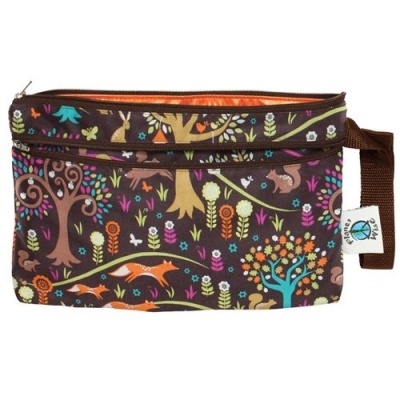 The Planet Wise Wet/Dry Clutch is even small enough to keep in your diaper bag. There is a snap handle to make carrying, hanging or attaching easy.